Knights captain Theunis de Bruyn hasn’t received any calls from the national selectors yet, but another prolific season might change that. Theunis de Bruyn has become somewhat of a household name in the South Africa A side. It’s a bittersweet position to be in. It’s been almost two years since De Bruyn’s double century for SA A against England A. He’s constantly being acknowledged for his talents, but he’s constantly being denied the highest honour of a full international cap. The 23-year-old did mostly what was asked for him in his latest SA A stint. A pair of fifties against Zimbabwe A followed a pair of unbeaten fifties in the Quadrangular A series. 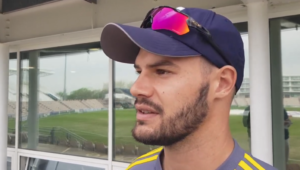 It wasn’t enough to sneak into the Proteas squad against Ireland however, let alone for the Australia series, which means another season of being under pressure to score big runs in order to earn recognition awaits. The big difference about this season, is that he’s left the Titans to move further inland to the Knights, where he will add a leadership string to his proverbial bow, as captain of what is an ambitious side. ‘The selectors haven’t spoken to me at all. I haven’t heard anything,’ De Bruyn says when SAcricketmagazine.com asks him if he thinks he’s on the national radar. 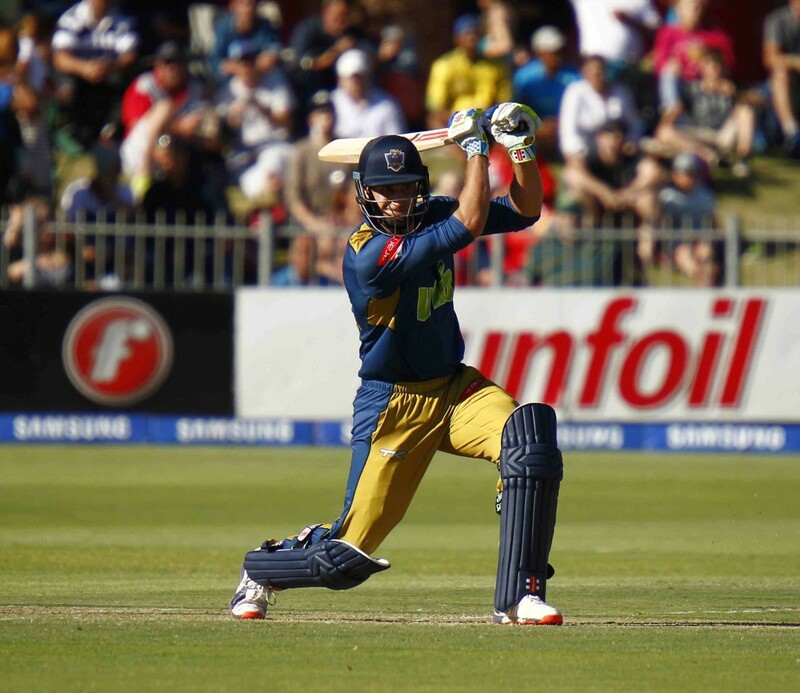 The Knights were the only side not to at least finish runners-up or semi-finalists in any of the three tournaments last season, although they did finish a close third in the Sunfoil Series. Coach Nicky Boje has laid out his blueprint for success with a number of high-profile acquisitions, including experienced spinner Robin Peterson and Proteas blaster David Miller, along with paceman Marchant de Lange, and of course, De Bruyn. When asked if the captaincy swayed his decision to join the boys from Bloefontein, De Bruyn laughs. ‘Good question,’ he says. ‘I knew it was the right decision for me. I would never have gotten this opportunity if I hadn’t joined them on loan last season. I’m enjoying this space at the moment and there’s a lot of challenges which is good, including the captaincy. De Bruyn started the season with an explosive 137 off 111 balls in the Ehlanzeni Challenge against old employers Titans last week. If that’s any measurement of how he might play this season, then that selectors’ radar might not be too far off. ‘Runs under the belt coming into the new season is always nice, but just winning games for this franchise and creating a legacy for this side is my priority at the moment. ‘It’s always nice to have bigger goals, which actually takes the pressure off a bit. I see test cricket as the biggest achievement; that’s what I’m dreaming about. I used to stay up with my father when I was young in the December holidays and we stayed up all night to watch the Australia series, dreaming that I could one day be there.